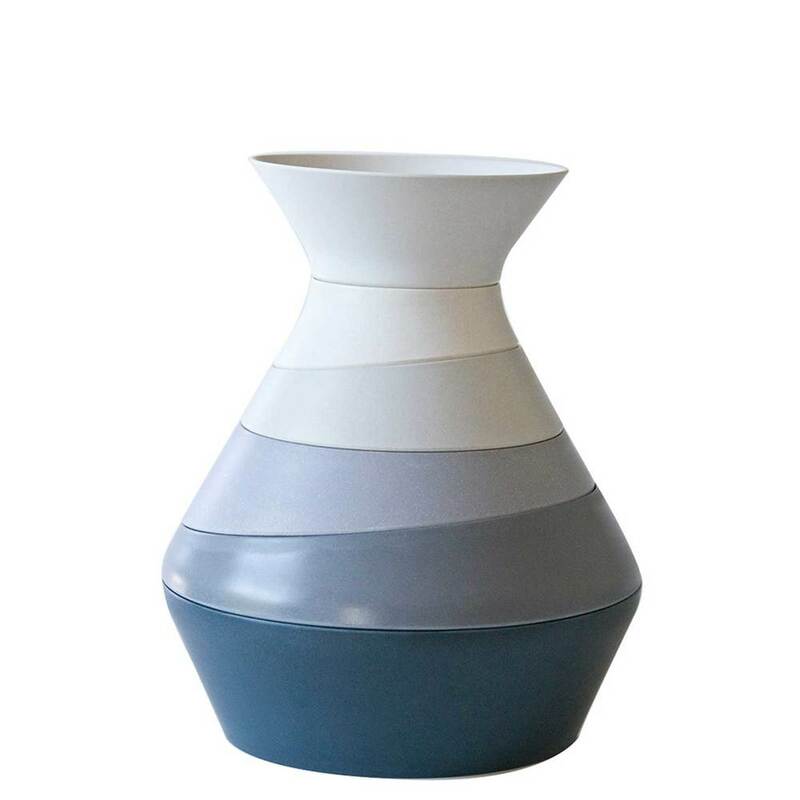 Amoré is a beautifully designed 6 piece stacking contemporary sculpture bowl set in the shape of a vase. Each unique piece stacks upon the next to create a “fluid” vase shape in its own self-storing system. Made from 100% sustainable natural bamboo fiber, Amoré Bamboo Bowl Set is designed to be showcased and used in any kitchen or displayed on any dining room table and perfect for our modern lifestyle. Each Amoré bowl has its own unique color and shape making them usable as individual serving pieces for both hot and cold food. These bowls are perfect for serving anything: soups, stews, appetizers or even desserts. The possibilities are endless and also perfect for entertaining! Great for everyday use, entertaining, parties, housewarmings and very gift able! Selected and featured in the hall of global innovation at the 2015 international home and housewares show! 100% Natural Fiber, Melamine Free and Dishwasher Safe.